Just when I think I'll get a relatable narrative, I'm disheartened. Like what is this? Surely it's an advertisement for Herbal Essences shampoo, yet I'm dumbstruck that this is a music video, like seriously? Calvin Harris, real name Adam Wiles, is one guy that will always be in the UK charts, he has made a name for himself and with a few number ones behind him, he isn't going anywhere. This is his most recent single and collaboration. Disciples are a trio consisting of Nathan Duvall, Gavin Koolmon and Luke McDermott. They have had a previous hit the uk chart called "They Don't Know", but this is the song that has pushed them into international fame. Where they will go next is what we're all wondering. 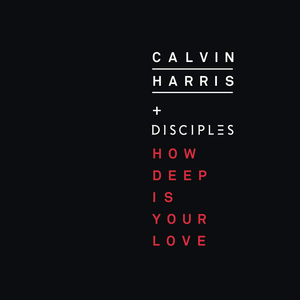 How Deep Is Your Love was written by Calvin Harris, Gavin Koolmon, Duville Lane, Luke Mac, Johannes J. and Ina Wroldsen. The latter is the vocalist on the track, a much improvement from her song "Aliens", not going to lie. Yet uncredited, unfortunately, however she has made a name for herself in the songwriting world, could she be a best selling artist? If she goes for it, with songs like this, she definitely can. 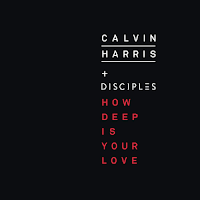 Catchy and personal, this song is deeply emotional, yet it is perfect for parties and clubbing. I am so disappointed in this video, the song is amazing, yet it only reached number 2 on the UK chart, would a better music video have pushed it that little bit more? I agree with the YouTube comments about it being a hair commercial rather than a music video. Directed by Emil Nava, the video stars model Gigi Hadid. Gigi wakes up on an operation table, she reminds me of the robots from the TV series Humans. Yet instead of continuing this possible idea, the video pushes aside any narration. Gigi Hadid ends up flicking, tossing and touching her hair, whilst her surroundings change. Not only is this not a representation of life, if only we could all be whisked away on a yacht in the middle of the sea just by touching our hair, but it fails to connect at all with the song. This is not what I was expecting when I came to watch this, and although this will interest some people, they could've done a lot more, and it's not something people would go out of their way to watch repeatedly.